The Ministry has noted the need to work with other partners who have been identified to be playing a critical role in the provision of education as a basic human right. In this regard, the Ministry has opted to intensifying partnerships with key stake holders who can better focus on delivering relevant education and training effectively to all. These are parents’ involvement, private sector involvement, accessibility to ICT by learners and teachers, empowerment of teachers and school leaders to bring positive change towards the achievement of the Country’s National Vision 2016 aspiration of ‘an educated and informed nation’.Botswana aims to achieve economic diversification and sustainable growth by positioning herself as a regional centre of excellence in education, training and research through the provision of a competent National Human Resources base. Hence the Government continues the commitment to provide Batswana with education and training opportunities. This is attributed by a significant allocation of resources by Government to education. Since 2004 to date, the Ministry of Education and Skills Development has been allocated between 27% and 30% of the recurrent budget. A thriving further education and skills sector is seen as essential to deliver the skills required by individuals in this global competitive world. Therefore, the Ministry’s quest is to improve the quality and relevance of education and training, and further to train for the world. Hence, skills development is all about developing and implementing training programmes that empower individuals and enable them to participate positively globally. Honourable Pelonomi Venson-Moitoi has Master of Science in Administration acquired in Central Michigan University in 1987. She also holds a Certificate in Journalism obtained in Mindolo Ecumenical Centre, in Kitwe, Zambia. She also holds a Public Secretaries Certificate-Local Government obtained in Kenya Institute of Public Administration in 1975 and a Diploma in Local Government obtained in Institute of Public Service in Connecticut –USA in 1981. The Honourable Pelonomi Venson-Moitoi was elected Member of Parliament for Serowe South Constituency in October 2004. 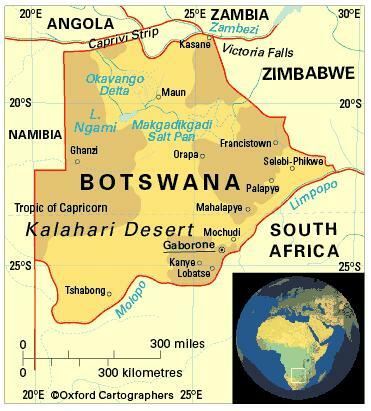 There are about 30 vocational and technical training centres, four teacher-training colleges, two colleges of education and one university, the University of Botswana. A second public university, the Botswana International University of Science and Technology, is under construction at Palapye. It opened in August 2012, initially admitting a few hundred students, and based at the Oodi College of Applied Arts and Technology, until the Palapye campus is ready. The Institute of Development Management was established in 1974 as a regional institution with campuses in Botswana, Lesotho and Swaziland. Other tertiary institutions include Botswana College of Agriculture, Botswana Institute of Administration and Commerce, and Botswana College of Distance and Open Learning. Literacy among people aged 15-24 is 96 per cent (2012).